This hostel was very different to the typical hostel chosen by Kiwi Experience. The YMCA catered for all ages and had several groups of students from abroad staying. It felt more like a motel than hostel with no friendly staff and no proper communal areas to relax in. The kitchen was extremely clean but also very small. During peak use it was impossible to get around the kitchen without bumping in to someone. With one fridge for guests and one for students there seemed to be very limited space! What was even more strange was you couldn’t keep your ‘dry’ bag in the kitchen. The staff were helpful with maps and directions but when it came to you being a guest there it left like you were being checked in to a motel. We paid $30 each a night for a quad room – which on the second night was only us. Conveniently we had a shower and toilet located right outside our door. There was nothing bad about this hostel just nothing good either. It was not a typical backpacker hostel, no cheap food/drink, no social area and just no character instead long corridors of rooms. I wonder if a lot of the reason the hostel is like that has to do with the earthquake which is still affecting the city. There is very little for your typical backpacker to do in this city and with that there seems to be very little accommodation for them. 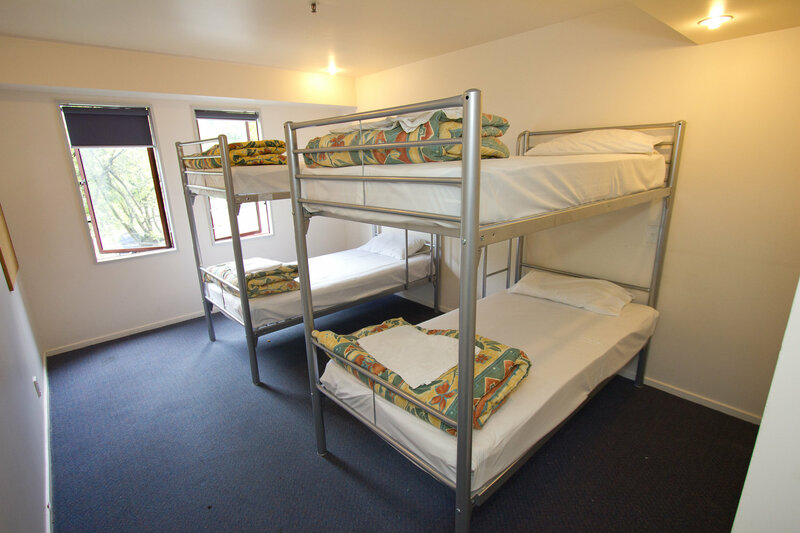 I am Unaware of all the hostel options in Christchurch but I know the YHA is just around the corner and might be a better shout.